Over the Labor Day weekend, Gretsch Guitars co-sponsored the annual “Abbey Road on the River” festival—the world’s largest Beatles-inspired Music Festival. Located at the Gaylord National Resort and Convention Center in National Harbor, Md., on the spectacular shores of the Potomac River, the festival featured more than 50 bands performing on eight stages, an indoor showcase display that presented thousands of historical and collectible items, including seldom-seen photos, volumes of books documenting every step of the band’s evolution, and Gretsch’s meticulous replica of George Harrison’s 1957 Duo Jet guitar, which he played early in the band’s career, including the Cavern days. The American Red Cross received 40 percent of the revenue generated from tickets purchased through a special website and $5 from every ticket sold at the box office during the five-day festival. 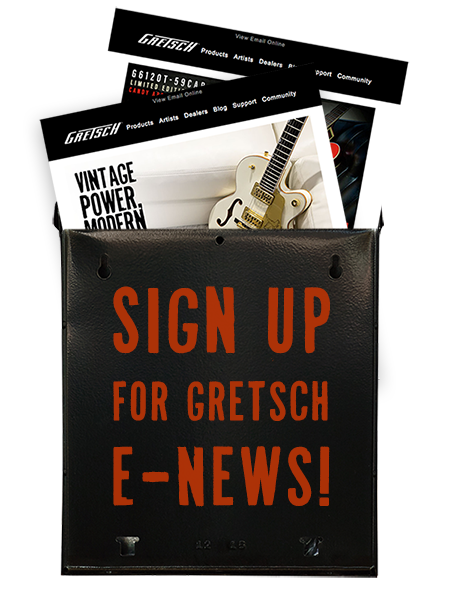 Gretsch also generously donated two guitars that netted over $5,000 for the Red Cross. More details here. Enjoy some photos from the festival in our slideshow below.